Copyright: 2017 Young C, et al. This is an open access article distributed under the Creative Commons Attribution License, which permits unrestricted use, distribution, and reproduction in any medium, provided the original work is properly cited. Mester et al., stated the laser effects in a review of their studies of 15 various biological systems, they observed the stimulating effect of low energy (in terms of J/cm2) laser and inhibiting effect of high energy laser and later reported the relationship of cumulative energy applied and the effects conforms to the Arndt-Schultz law. They concluded their experience with 875 healed cases and the results of their experiments had convinced them to recommend the use of lasers to stimulate wound healing . Studies on the effects of Low Level Light Therapy reported pain relief [2,3] and promotion of wound healing . These effects are useful in the oro-maxillofacial region and other parts of the body. Ohshiro introduced the concept of photobioactivation , he suggested that photobioactivation follows as a result of an exogenous photostimulus, and therefore follows the Arndt-Schultz law (Figure 1) . Figure 1:Ohshiro’s modified Arndt-Schultz curve. For photobiostimulation to take place, the incident light needs to be delivered to target tissue in proper dosage, therefore the penetration of the light used is important. Optical properties of light depends on body tissues and wavelength. Studies have been done to investigate the optical window for various biological tissues and respective data are well-documented [5,6]. Despite knowing correct ranges of wavelength, the skin is still a great barrier to LLLT treatment. 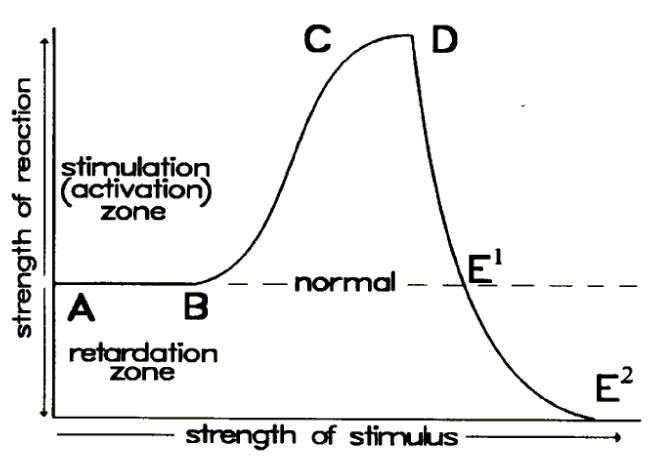 The skin blocks out most of the incident energy by scattering and absorption, thus energy dosage for the deeper parts of the body remains at far left of the Ohshiro’s Arndt-Schultz curve (Figure 1) , photobiostimulation of the treatment is actually insignificant, if better than no treatment at all at lower energy range. Will raising the incident energy be the solution? Yes and No. Photobiomodulation is biphasic in nature: biostimulation occurs in low doses but bioinhibition arises in high doses. Absorption coefficient of human tissue is independent to light amplitude. Although increasing incident energy can deliver proper energy to deeper parts of the body, it may also result in bioinhibition to the superficial layer. Finding a proper instrument for precise penetration measurement inside the body is also difficult. Jagdeo et al., measured the penetration of red 633nm and infrared 830nm through cadaver skull bones, sectioned cadaver skulls with intact soft tissue, in vivo human cheek, and in vivo human hand. Red and infrared behave differently in different areas . Human hand and cheek were thin enough, but application to human brain and spine remains a great challenge due to its anatomical position. Case reports and clinical studies e.g. for tooth movement  and palatal expansion [9,10], tooth extraction [11,12], dental implants , Temporomandibular jaw disorders  and other oral surgeries , have recorded parameters like wavelength, power and energy dosage etc., without detailed explaining their choices. Most of the above mentioned studies did not mention which layer or depth is their target tissue. More investigation at different area and different depth should be performed in order to give more information for future treatment planning. Bashkatov A, Genina E, Kochubey V, Tuchin V. Optical properties of human skin, subcutaneous and mucous tissues in the wavelength range from 400 to 2000 nm. Journal of Physics D: Applied Physics. 2005; 38: 2543-2555.